Pyle National introduces a new power connector family featuring Amphenol’s exclusive RADSOK® contact system. 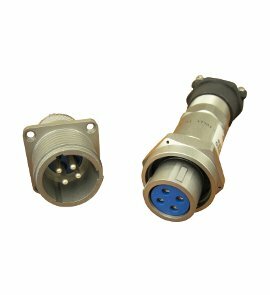 The new NEPTUNE® connector series is designed to perform in the most demanding environments. NEPTUNE® incorporates our RADSOK® contact technology. The RADSOK® system is a patented electrical terminal based on a hyperbolic grid configuration. As a male pin is inserted, the grid deflects, imparting high normal forces. The hyperbolic configuration ensures a large coaxial, face-to-face engagement area for a low milli-volt drop connection with low insertion force. The stamped grid and cylinder are very rugged, allowing for a high quantity of insertion cycles and off axis insertions.